Gamernode's Jason Fanelli took his Pokemon Pokewalker pedometer to PAX East, where, I can assure you, LOTS of people had the things strapped to their belts. He made some friends. 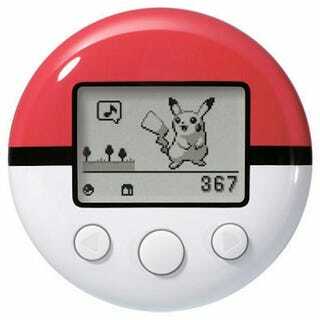 The Pokewalker is used to train Pokemon in the new Pokemon Soul Silver and Heart Gold DS games, each step adding to your Pokemon's XP (at least until you gain enough for it to gain a new level).